Two of Martin's total of twelve kids. 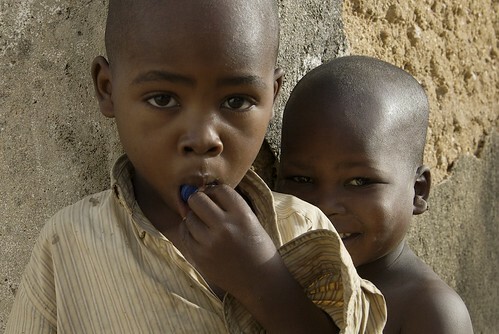 The boy on the right was very cautious at first, and started crying as soon as he saw me. African kids react differently to white people depending on their age. When they're very young, they're very curious and start laughing when they see a white man. This boy was at the age where it seems to be absolutely terrifying. But after a few friendly words and a smile or two, he was willing to pose for a quick photo.